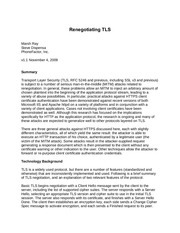 This PDF 1.4 document has been generated by / iTextSharp™ 5.4.1 ©2000-2012 1T3XT BVBA (AGPL-version), and has been sent on pdf-archive.com on 10/11/2015 at 05:20, from IP address 182.69.x.x. The current document download page has been viewed 255 times. play in video and streaming sound . the internet user by way of a collection of rules known in the industry as protocols. content the other protocols remain in the background. This file has been shared by a user of PDF Archive. Document ID: 00313895.